If you are new to Crewtoo, the very first thing you need to do is “Join” our mailing list to access the latest Crewtoo offers, news and updates direct to your inbox. 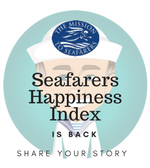 Aside from connecting with the largest online seafarers community via our blog and Facebook.com/Crewtoo , you can use the site to learn more about the industry, access guidance on careers and training, chat and share with other seafarers and get involved with the Crewtoo Happiness Index. Crewtoo started in late 2011 and each week we printed a poll question for seafarers in the on-board newspaper, NewsLink, and let the replies roll in. In the next week’s e-mail we shared the best comments and the result, with everyone that voted! 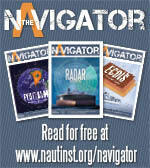 Over 50 seafarers a week chose to join Crewtoo and receive our weekly e-mail. Because of the limits of many vessels’ e-mails, those e-mails were less than 3000 characters of plain text. So we then moved to printing a weekly newspaper to contain more members’ comments, opinions and jokes. As we grew, it became clear, that we needed more room to publish all the great comments, opinions, messages and feedback, seafarers were sharing with us. 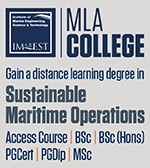 Now with over 112,000+ members, the site has grown dramatically and our information leads the way in keeping all of our members up-date with the latest information and helpful advice on life at sea. From all of us here at Crewtoo, we hope you enjoy your new blog site! Please feel free to let us know what you think and share any ideas with us. Crewtoo is for you! On Facebook we share interesting maritime stories/photos/and encourage seafarers to join in the fun and chat and share with us! Make sure you “Like” our page and join in the fun!